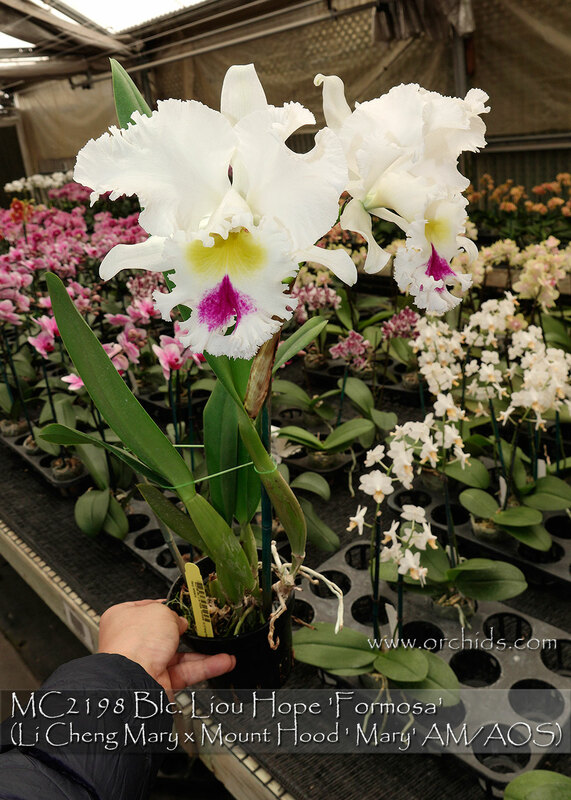 A classic American Cattleya Blc. Mount Hood ' Mary' AM/AOS hybrids at its very best ! Producing enormous, and amazingly fragrant, pristine white flowers. When awarded pollen parent the flower size was 23cm, and it remains one of our best winter early-blooming white Cattleyas. Premier diamond-dust textured whites with good flower substance. Highly Recommended ! 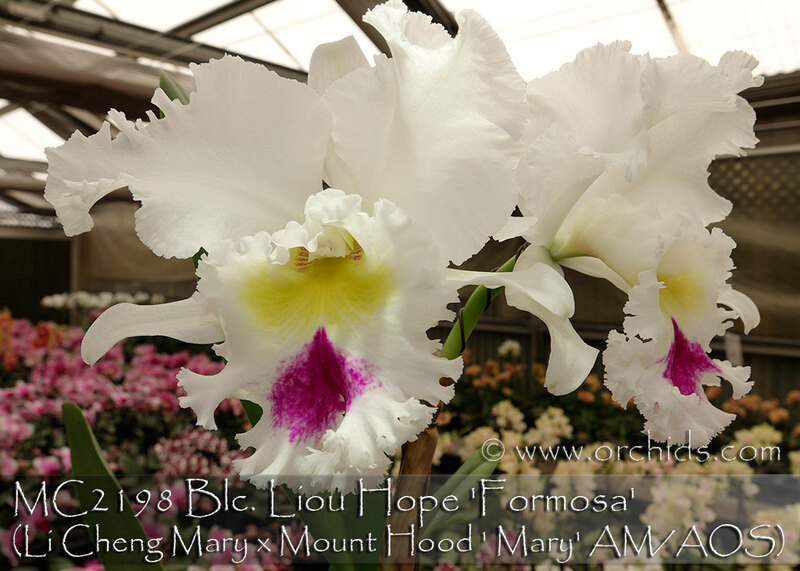 Formosa , note : Big , Bold and fragrant .